Pfenning’s is fortunate to have two awesome employees from the Antoniou family – I work full-time in the office, and my oldest daughter Kendra works part-time in the warehouse. 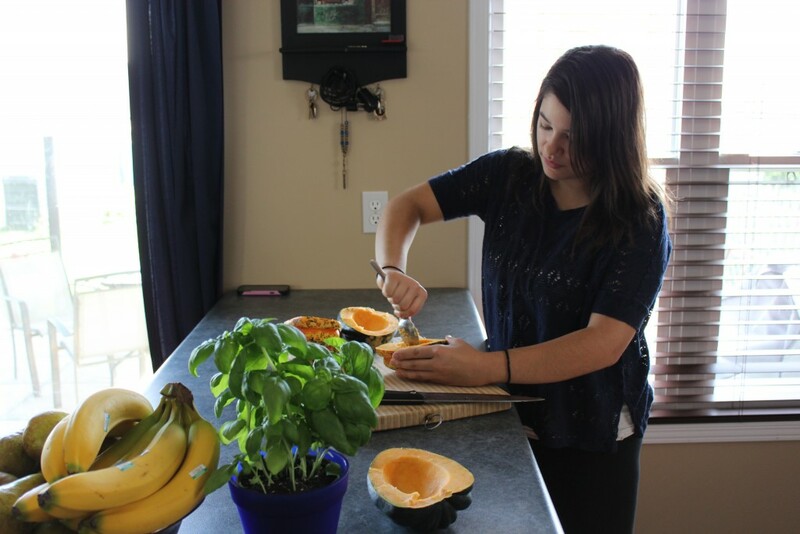 She volunteered to help me out with the squash challenge, and I’m glad – it was fun! 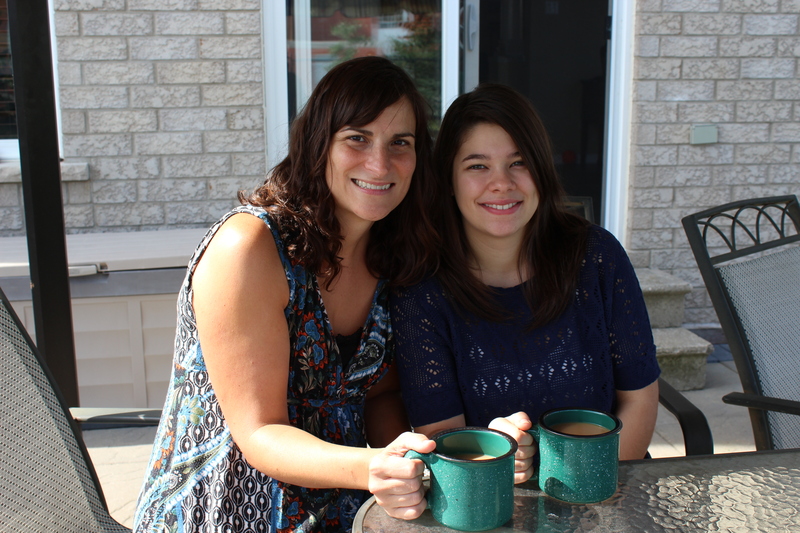 It was a great excuse to have some mother-daughter time, which doesn’t happen as often as we would like in our busy lives. We have a similar approach to cooking – we both like to experiment with flavours, and make things up as we go along. So this is what we did – we started with a list of ingredients that seemed like they would taste good together, and came up with the rest on our own. 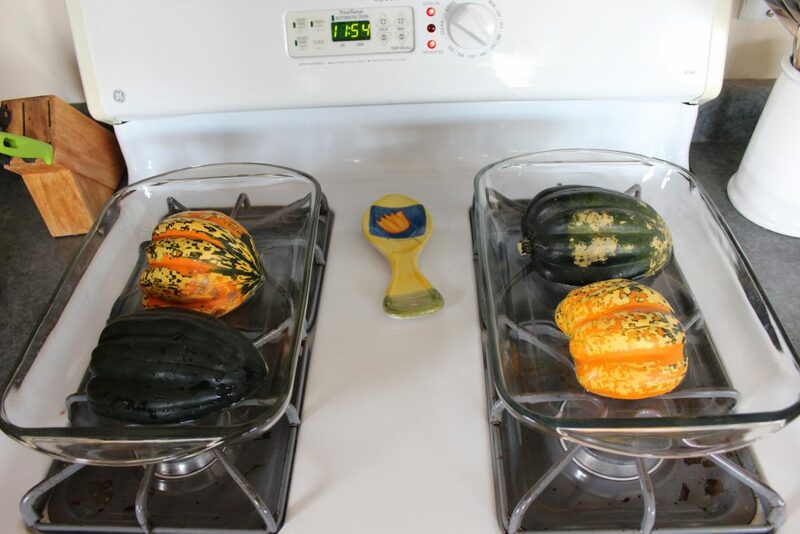 We had two squash to cook – both acorn, one green and one festival. Pretty attractive, don’t you think? We cut them in half, and scooped out the centres. 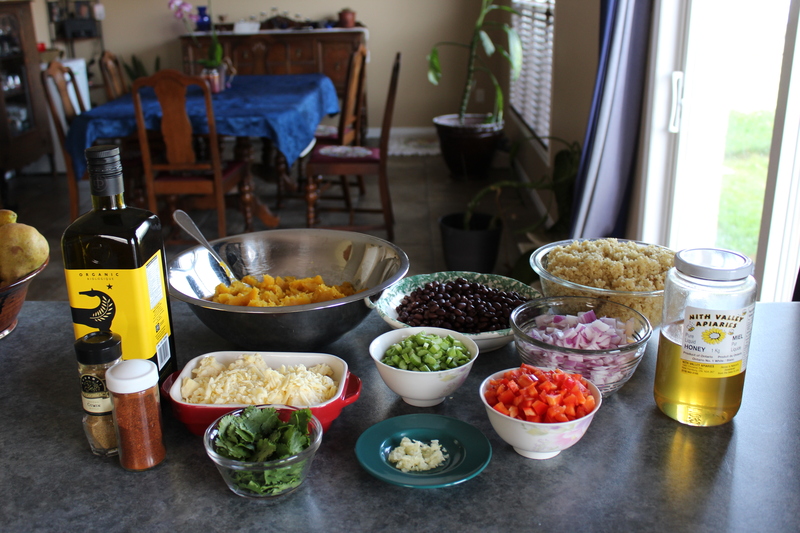 While the squash was cooking, we assembled the ingredients for the next stage. We cooked some quinoa, and drained a can of black beans. 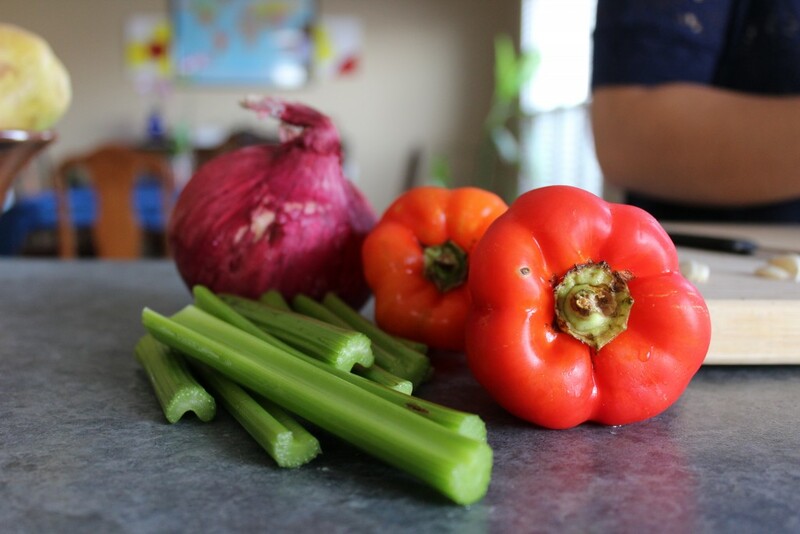 We chopped onion, garlic, celery and red pepper, and sauteed them in olive oil. We grated some old cheddar cheese. Yum! Two sets of hands make the work go faster! 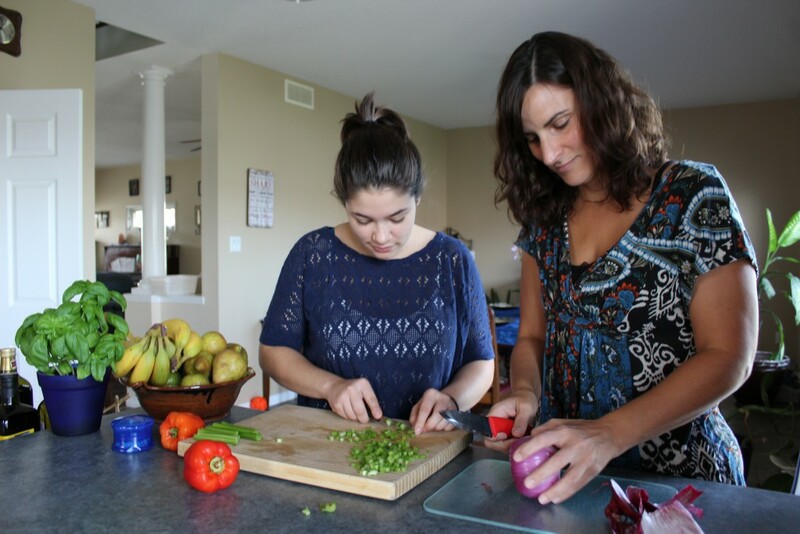 We had to make it look pretty – we pretended we had our own cooking show. Life is no fun without imagination. Then we did what any self-respecting Antoniou woman would do – we had coffee. When the squash was cooked, I noticed that the festival acorn seemed to hold its shape better, and had a drier texture. I’m not sure why this would be, but it was so. 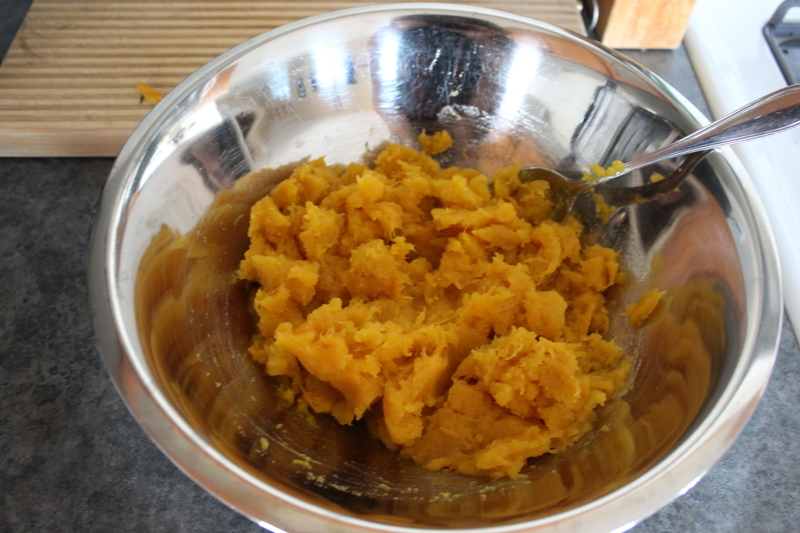 When the squash had cooled enough, I scooped the pulp into a large bowl, making sure to keep the shells intact. We started adding the other ingredients we had assembled. This part was the most fun – we tasted the mixture, and added spices and extra ingredients as we pleased. A little more of this – sure! A bit more of that – why not! Full creative license for us – we work well together this way. 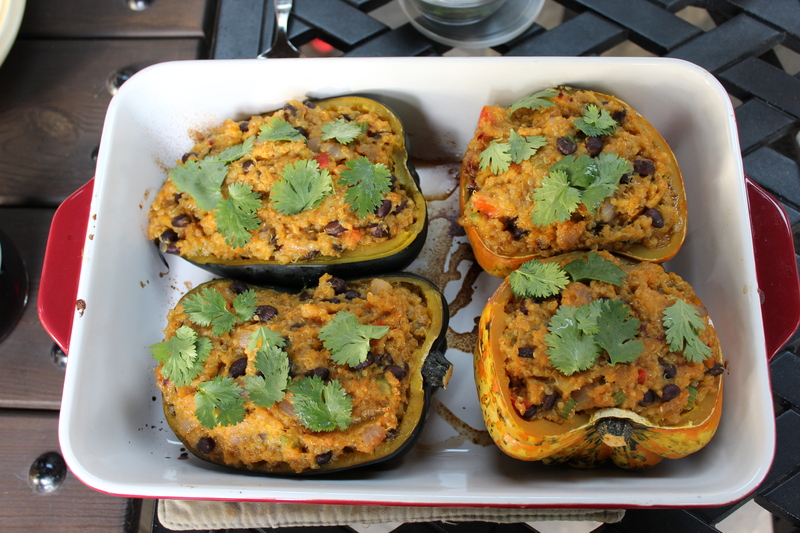 Then we stuffed the empty shells so they were heaping with deliciousness! We covered it over, and took it to a family barbecue to share. Reviews were great! It ended up having a kind of Mexican taste. Noteworthy: two adults at the barbecue who declared that they didn’t like squash at all, but only ate some to make us happy, actually took TWO helpings! One of them took some home as well! And a notoriously picky eater declared she liked it, which was a pleasant surprise and a triumph! Our squash challenge ended with Kendra and I high-fiving each other. 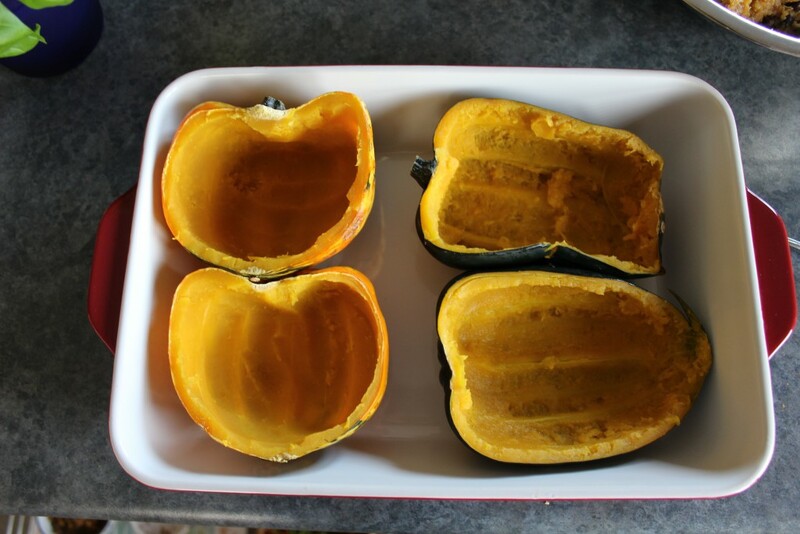 Cut squash in half, scoop out the seeds, place cut side down in a baking dish with a bit of water. Cover and bake for 45-60 minutes. Dice onion, red pepper and celery. Sautee in garlic and olive oil until tender. 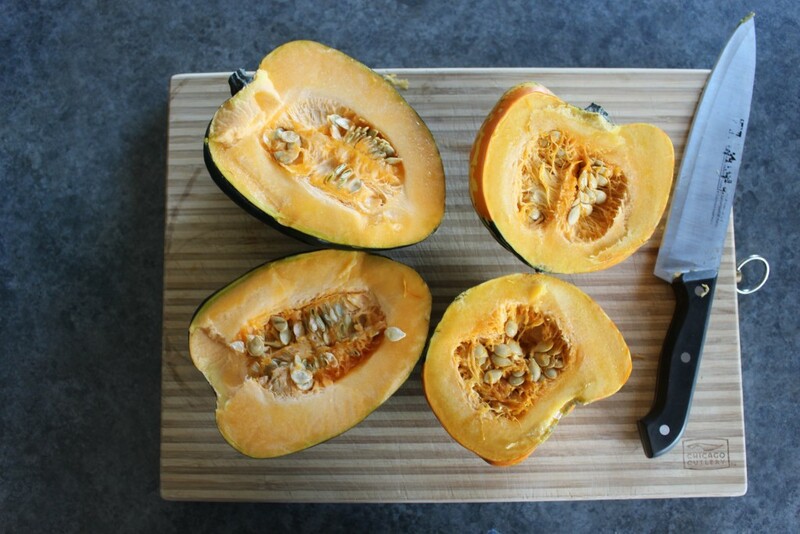 When squash is cooked, scoop out the pulp and put into a large bowl, keeping enough squash in the shells to keep them intact. 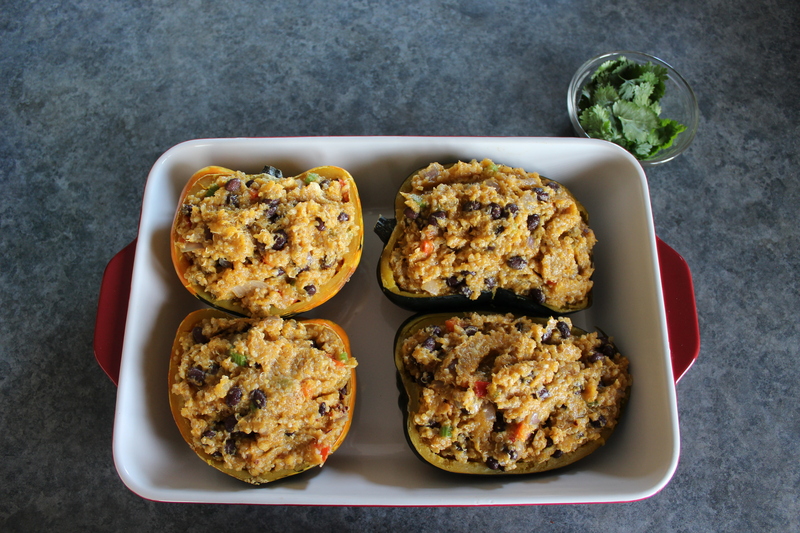 Add quinoa, cheese, sauteed veggies, black beans, honey, and spices to squash mixture. Adjust seasoning to taste. 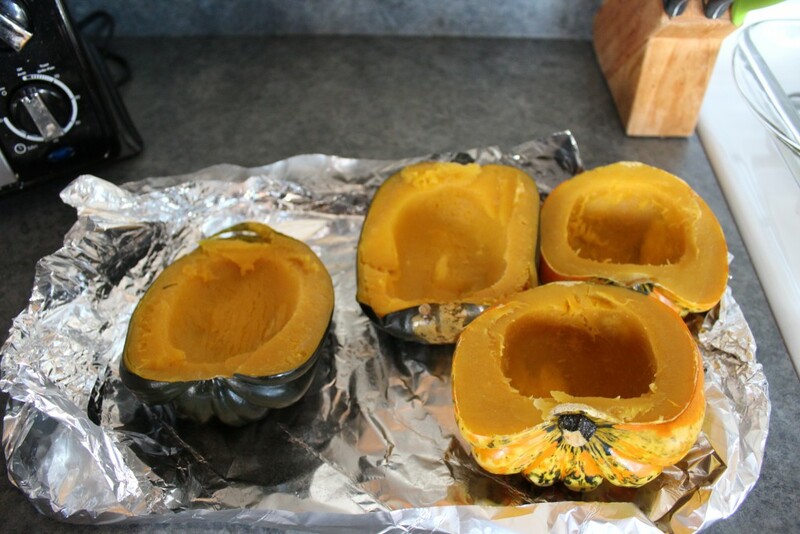 Stuff squash mixture into the shells. Put back in oven until heated through, around 20 minutes.